Summer Horse Camp is a great way to get your kids outside and enjoying all the healthy activities that our equine partnerships offer. Plenty of fun, lots of learning and developing friendships to last a lifetime are just a few of the benefits. Camp is packed full of adventure, including riding lessons (English and western horsemanship), grooming, crafts, barn activities and games. 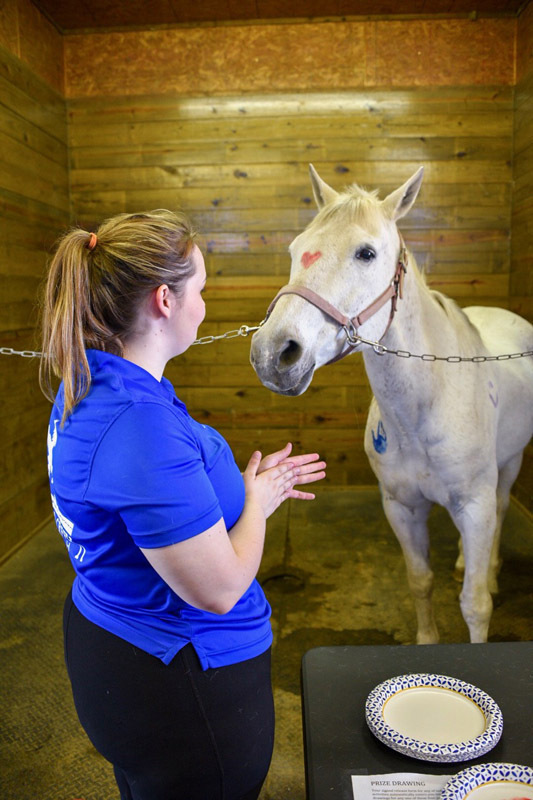 Campers learn how to care for and tack up their horses—plus lots of general horse knowledge and trivia—in a hands-on, interactive environment that encourages our youth to work together while simultaneously having fun. Whether your child is a first time rider or knocking on the door of a World Championship, CCR is ready for them! We have indoor and outdoor arenas for any type of weather, and experienced and accomplished instructors. Camp runs weekly from June through early August, from 9am-3pm and is reasonably priced at $325/week (Girl/Boy Scouts receive a discount of $35). Riders must be at least 6 years old to participate. 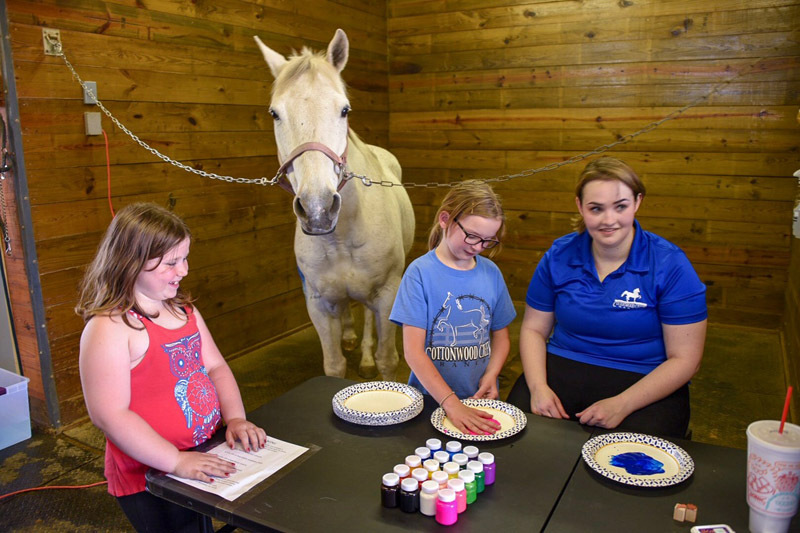 There isn’t a more entertaining and confidence-building summertime activity than Cottonwood Creek’s Summer Horse Camp! Our popular Cottonwood Creek Ranch birthday parties are $300 and include a 20-30 minute riding lesson for up to 12 riders (additional $25/rider after 12). 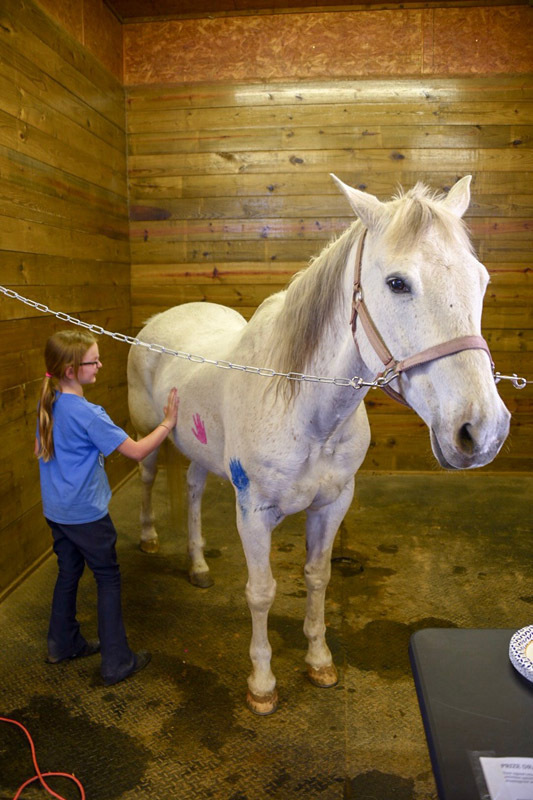 We also have a PAINTED PONY PARTY for an additional $30—make one of our trusty lesson horses into a giant canvas! We provide washable, non-toxic paint. To schedule your CCR Birthday Bash, contact Lauren Marsh at 405-888-7379.